New Balance has released the third version of the new Liverpool football kit for 2017-18 season amidst bewildered looks and raised eyebrows. Bold colours once again seem to be the theme of this year’s rendition. Before we tackle the controversy however, let’s have a look at the standard design elements of the jersey. Like all the other Liverpool jerseys this season, the third shirt is made by New Balance and features their Dry moisture wicking technology and anti-bacterial finish. A mock vent under the arms enhances cool performance. The shirt has a simulated v-neck design and as well as an embroidered logo, which this year has been changed to a special edition Liver Bird for the Reds 125th anniversary. At the back of the collar a pair of Eternal Flames commemorate the victims of the Hillsborough disaster. A dark trim frames the jersey at the collar and the hem. The shirt is made of 100% polyester. And now on to the elephant in the room. The new Liverpool football kit is orange. Oh boy, is it orange! It’s so orange in fact, that the Dutch National Team may be envious. The club has named the uniform “bold citrus” which makes it perfectly obvious that they are quite aware of not being in the timid category and are not afraid to make a splash. And as splash is all one can think of when watching Liverpool play in their orange apparel, as they certainly stand out in a very noticeable way. The shorts and the socks complement the jersey in the same colour pattern. We have nothing against orange – it’s a exciting colour. And to be perfectly fair, Liverpool are no stranger to bold designs, especially for their second or third kits. 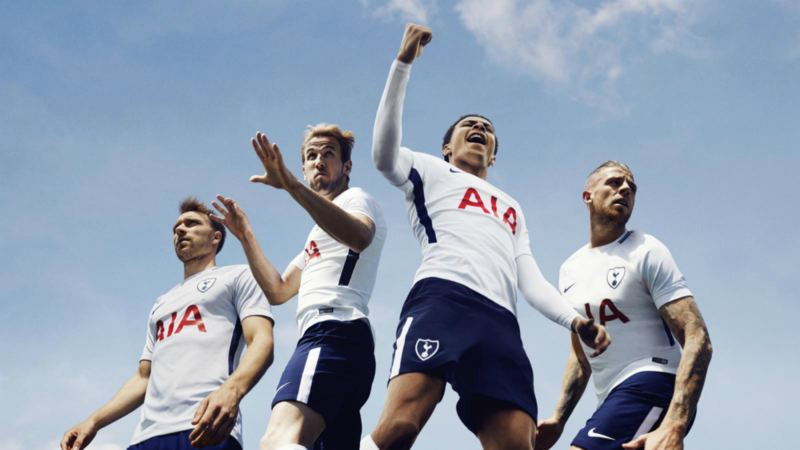 Just last season they paraded in lime green as their third choice. And on that account the “bold citrus” is definitely a step in the right direction. But for a team that is known around the globe for their love of red, a bright orange is just to jarring. The dark trim definitely helps, but overall it is hard to watch the five times champions of Europe in something that resembles a fluorescent accident for ninety minutes. For fans, the choice is maybe a bit easier. While it may be difficult to stand out as Liverpool supporter while wearing their orange shirt, there is a certain amount of fun in being different and the novelty may be quite enjoyable, at least for a while. 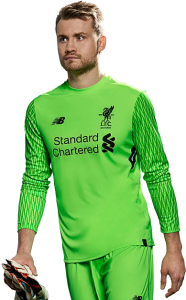 The goalkeeper outfit that accompanies Liverpool’s third kit is called “toxic green” with a diamond pattern around the sleeves. If you are brave enough to wear bright orange for Liverpool this season, grab a shirt of your own here. Otherwise, may we suggest the famous home red kit, which this year looks great! 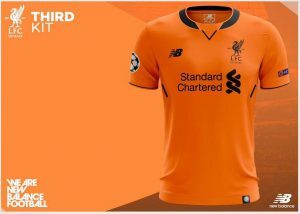 Let us know what you think about Liverpool’s orange shirt below. A stroke of brilliance or a fashion disaster? Those shirts are extremely nice! I really am digging the green one. New Balance is really stepping their game up.